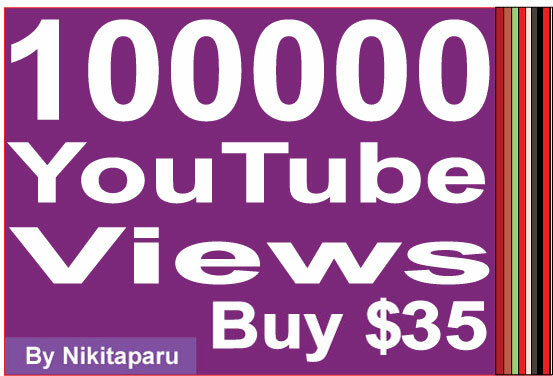 Please don't let someone take your money away from you by ordering their service for 100,000+ YouTube views for $45. Many of them will not send you what you ordered. Consider the quality of service instead. In my service, I assure you that you will receive what you ordered. Alert:After Placing order, Cancellation of that order will not be accepted. Don't Make your page private or remove the video after placing order. Order will be immediate marked as completed in such scenarios. No cancellation or refund will be provided for them. Add 100000+ Non Drop YouTube Views is ranked 5 out of 5. Based on 1932 user reviews.